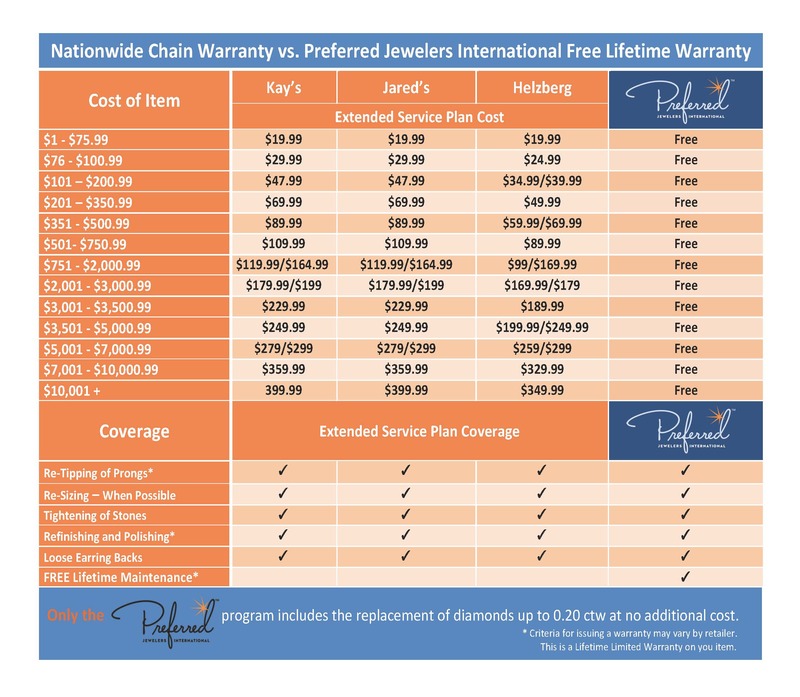 *To keep your warranty valid you are required to visit your Preferred Jeweler every 6 months to have your items inspected and maintained. Your visit will be notated in the Preferred website database. Customer and retailer will be notified by email 30 days before and again 14 days before “due date” inspection. Please ensure that we have a valid email address on file. Should there be a lapse in time and warranty has become invalid the retailer may charge the customer to bring the item back into warrantable condition and then update and reinstate the warranty.